DON'T RUN AWAY FROM YOUR KRAKEN!" He got me down to the red in the end, but I burned him down finally. 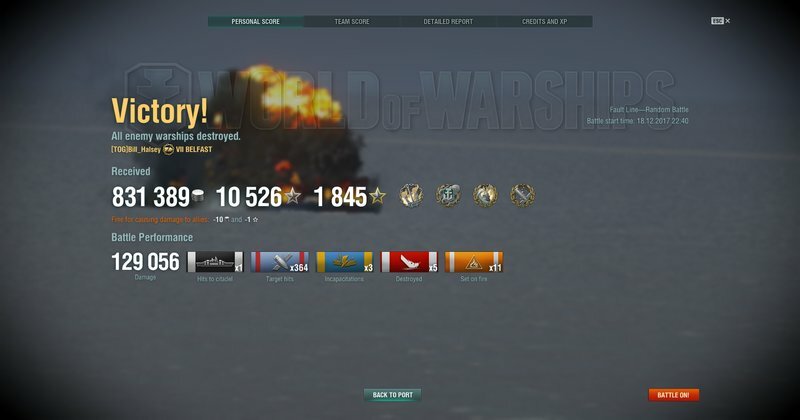 So, first Kraken in the Belfast. 250 of those hits was on the Nelson. Not easy to 1 v 1 I. A Belfast vs Nelson. I feel like this would be more impressive if it wasnt in a payfast, nice job anyway though. Be fair. It it's 1v1, a lot of the advantages that the Belfast usually enjoys would be neutralized or minimized. Sure, it could pop its radar and smoke up, but only if it was in radar range. And then the Nelson could charge the smoke, because the Belfast would be sitting relatively still. And without any torpedoes, the Belfast wouldn't have a powerful alpha strike weapon to put the fear of god or RNGesus into the BB. I actually think that this could be a good deal harder than you think. True, Fiji could charge and torp while out running the turret rotation or getting behind it and heal much of the dmg it takes from Nelson. 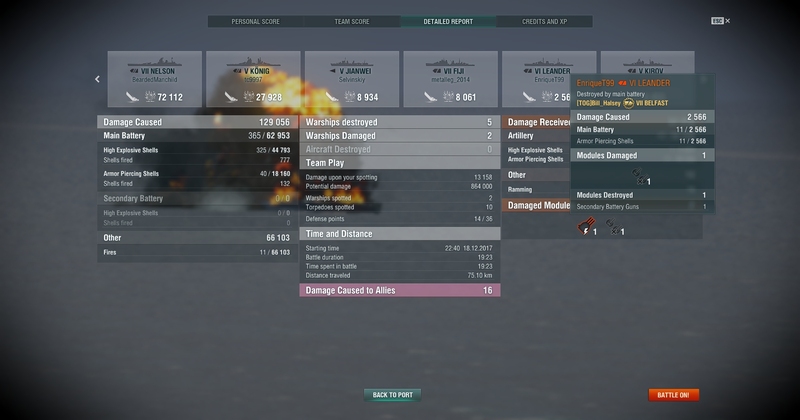 Not to mention smoke limiting movement to stay in it, making it easier to dial in and blind fire, my usual way of sinking any UK cruiser, Super heal pretty much can handle fire pretty well, and yeah, no heal or torps. Honestly, I don't think Belfast is half as powerful as people think she is, especially after the smoke changes. Sure, DD's have a reason to fear the thing, especially 1 on 1, but anything else, a BB at long range maybe with no angle or help. Or a bad CV player. 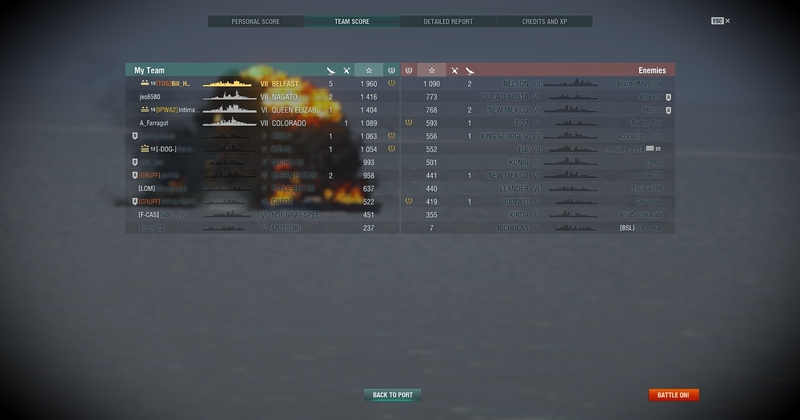 To be fair, both ships are premies, so it's a wash on that score. And then the Nelson could charge the smoke, because the Belfast would be sitting relatively still. And without any torpedoes, the Belfast wouldn't have a powerful alpha strike weapon to put the fear of god or RNGesus into the BB. Which is what the Nelson did when the Gaede flubbed the torp run. All the Nelson has to do is charge the smoke cloud. Torpedoes on the Belfast would had been useful at that point. I would had been visible @ about 5.5 km while,firing ,thus me forcing to vacate when he got to 6 km range. No alpha strikes, just damage over time. vs the Nelson's super heal. My biggest advantage was dictating the range. His advantage is all he needed was a few decent hits to kill me.